Welcome to En-Rich Carpets, Werrington, Peterborough. We supply carpets and flooring in the Peterborough, Spalding & Wisbech area. With 20 years' industry experience, we offer a wide range of high-quality carpets, laminates, vinyl or engineered wood flooring all at great prices. If would like to go shopping for carpets, vinyl, wood or laminate flooring where you are treated as an individual, receive expert advice, great customer service and buy flooring or carpets that won’t cost the earth, then come and see us now. Come and see us at our shop in Werrington, Peterborough, we promise you won't be disappointed. We will beat any like-for like quote. 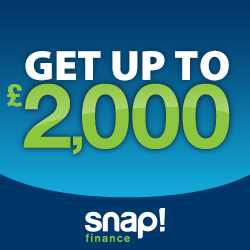 We can now offer competitive finance for your carpeting or flooring using Snap. Click on any of the links on our product pages to find out more.